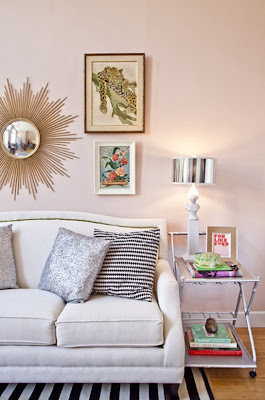 I love when pieces are used not what they are intended for and can act in more than one way. 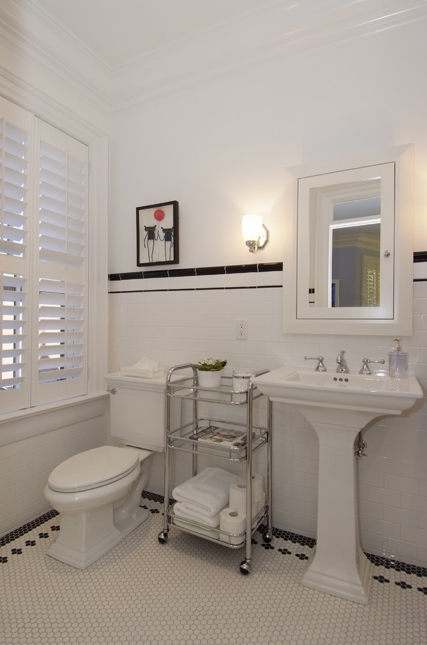 Its always nice when you purchase something to know it can be used in multiple ways down the road should your space or lifestyle change. The bar cart is one of my favorite multiple use pieces...plus it has wheels making it even easier to move from room to room! In a bathroom it is a great way to add storage for towels, soaps, ect. 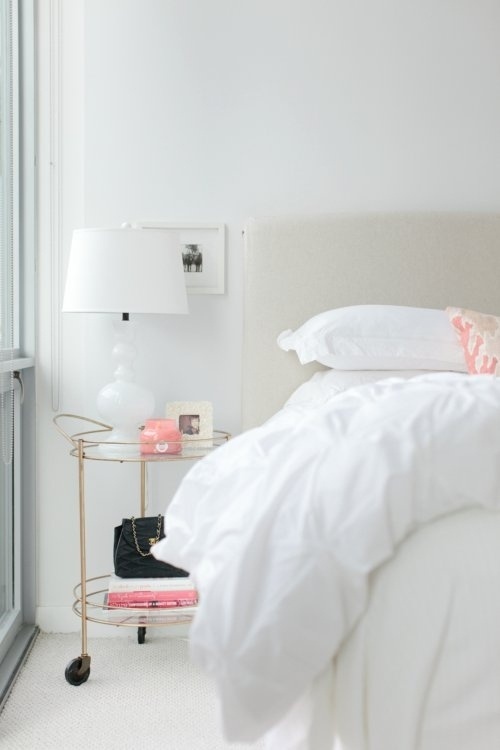 In a bedroom they can make great bedside tables...especially ones with multiple tiers to give more space for all of the "things" many people like to keep bedside. 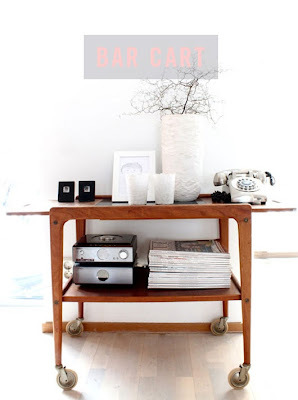 The same idea works for living rooms as well...This is great for small spaces as the cart could also be used as an actual bar for entertaining. 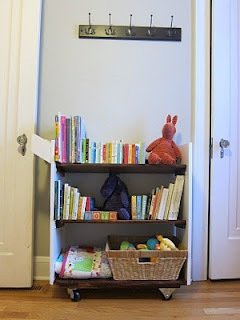 I love both of these ideas...use one to create a library in a children's room or even add baskets for more toy storage. 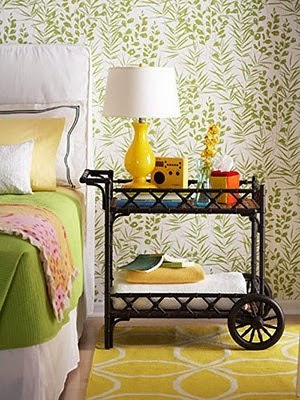 A cart could also be used in an office for storage or even to house your printer and office supplies. The only changes made are the way you style them!